When news broke this week that Google was going to snap up Nest for $3.2 billion--or roughly, the amount of loose change Sergey Brin has in his couch right now--I did what I normally do in such circumstances: I went on Twitter and made a joke. And that's not exactly a unique sentiment. Comb through your Twitter timeline for mentions of Google and Nest over the last 24 hours, and you're unlikely to find many Nest customers (or would-be customers) warmly welcoming the new owners. 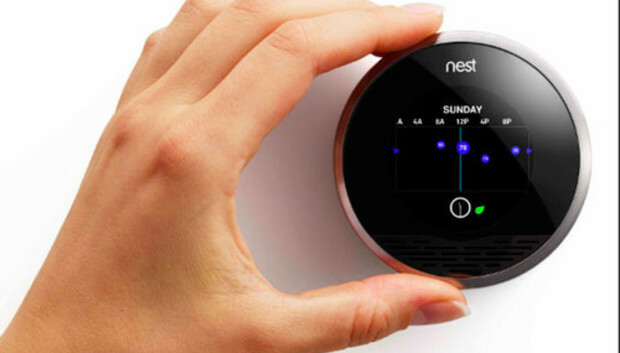 Adweek read through the responses to the Google purchase on Nest's Facebook page--better them than me--and calculated that 78 percent of the 440 or so posts were negative. I know, I know: People on the Internet feel negatively toward something. And my colleague Susie Ochs does a fine job laying out why you shouldn't fear Google's Nest purchase by default. Still, you can understand why people might feel a little edgy now that Sergey Brin, Larry Page, and company are taking a stronger interest in their HVAC systems. Run a search for "Google" and "privacy" on TechHive or PCWorld, and you'll find a lot of articles where the search company is being summoned before one regulatory agency or another with some serious explaining to do. When your Street View cars have a habit of snatching up sensitive personal information, you've probably earned that reputation as a less-than-stellar guardian of your customers' privacy. Even if you've already forgiven and forgotten Google's Street View transgressions, the sight of Larry Page at last year's Google I/O conference wistfully musing about an island where he and his fellow visionaries could innovate without all those pesky rules and regulations should be reminder enough that "Don't Be Evil" is better marketing copy than it is a corporate governing philosophy. There is also the not insignificant matter of the National Security Agency and its reported ability to access all the data Google has, whether Google likes it or not. I'm looking for a little less surveillance in my life, not more, and Google's ties to the NSA--unwitting or not--make me less inclined to buy into whatever that company's plans are to connect my home. Google also hasn't done itself any favors with its clumsy, teenaged-boy-trying-to-get-to-second-base method of pushing Google+ at every opportunity. Just last week, Google announced that your Google+ contacts would be able to email you, even if they didn't know your address, a feature that seems like it will invite abuse by spammers, marketers, and other people of dubious intent. Yes, you can disable that feature--I'll pause while you do exactly that--but Google has put the onus squarely on you. No, I don't seriously think Google's going to cut off the heat of Nest Thermostat users who don't embrace Google+, but I wouldn't put it past a company that ham-fisted to use your data in a way you might not approve of. "Hey, this guy seems awfully chilly," Google might say to an apparel advertiser. "Why don't you send him an email asking if he wants to buy a sweater?" Look, I'm not entirely naive here. I type something into a search engine, I know that my keystrokes are being recorded somewhere for purposes other than returning results for the information I seek. That's the concession you make when you use services of that ilk, and if you don't like it, well, your local library contains plenty of wonderful encyclopedias and atlases. Inviting Google into my home, whether it's to turn on the thermostat, the lights, or anything else, is another matter altogether. Your home is your castle, the one place in a weary world where you should be able to duck out of view for a bit from persistently prying eyes. Any connected device is going to impinge on that, so I'm especially cautious about loosening my grip on the privacy of my home. Once even a little of that is given away, it's really hard to get it back. After all, it ultimately comes down to trust. I only like inviting guests into my home that I can trust. And Google hasn't earned that trust, no matter what its vision for the automated home may be.